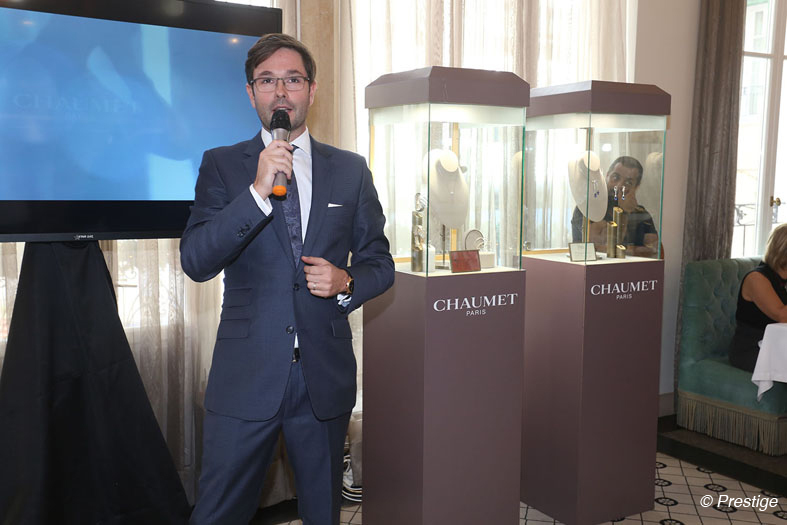 Chaumet and Cadrans celebrated their thirty years of partnership around a brunch in Beirut in the presence of their guests, who were delighted to discover the new creations of jewels and watches. Inspired by the royal courts, Chaumet offers exceptional pieces that combine refinement of the design to the flamboyance of stones, introducing a contemporary variation of the tiara. In tribute to the empress Joséphine, passionate about the beauty of flowers, an inspiring source for Chaumet creations that echo the floral splendor and the magic of gardens. Chaumet punctuates the life of couples with precious milestones: engagement rings, tiaras, wedding rings…For each moment its link. The wedding, a ceremony part of the identity of Chaumet, is at honor in Chaumet’s creations. 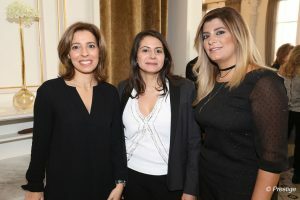 Janine Khalifé, Dana Berdawil and Gracia Sfeir. Gisèle Chahine, Névine Bouez and Joanna Hanna. The General Manager of Chaumet for the Middle East, Jean-Philippe Clerget-Duruz.